Okay, I'm not going to review the text of GWTW. It's been analyzed plenty. It's a brilliant book. 'Nuff said. What I do want to review is the audio performance. 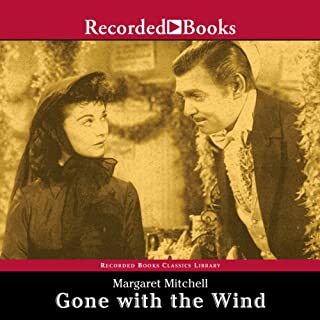 When I saw that GWTW was available in audio format, I was dubious. I'm from the South. (Not the deep South -- Virginia). I speak with a Tidewater accent, which is different to my ear from a Georgia accent, which is different to my ear from a Charleston accent... You get the picture. Ms. Stephens managed to get the nuances of the various accents well enough not to make me cringe. It sounds like a trivial thing, but since Mitchell, herself, made a big deal of differences of dialect in the actual novel, you need to have it in the performance. I'm so glad that the narrator did not go for that Eastern Tennessee accent that is so often touted as "Generic Southern". If you love GWTW, get it. If you've never read it, this is a good way to enjoy the book. I actually downloaded this as a freebie, because I was looking for new material. Well, if authors are worried freebies might hurt their sales, don't. I'm listening my way through the entire Retrieval Artist series. 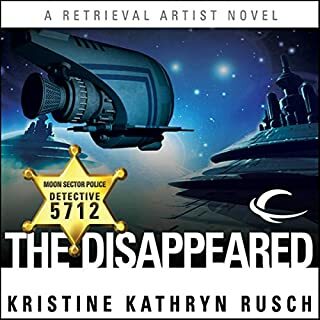 The characters are engaging, the stories well-plotted and the marriage of science and society make for fun science fiction. Jay Snyder's performance adds to a great story, making this one of my favorites. 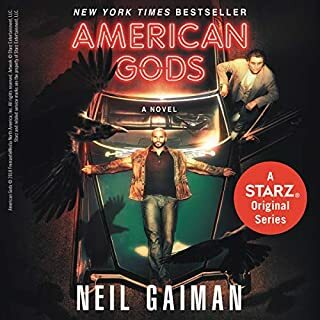 If you love myth, you'll love American Gods. I think that it's a story that you really can't love, though, unless you have some background in myth, how myth works, and the basic themes that surround the stories that are as old as human speech itself. However, any student of Joseph Campbell will be entranced by some powerful storytelling and understanding of myth. It is also interesting to see an Englishman's take on what it means to be an American. The story's structure is fairly exact, but you don't catch on to what Gainman is doing or how he weaves the plot for quite a long way into the book. It seems like three or four rambling tales when it really is a single saga. And perhaps, given the fact that it draws heavily on the mythology of cultures that gave us the very WORD saga, that makes good sense. As far as the audio performance, George Guidall's vocal characterizations are all very good, but his rendition of Mr. Wednesday is absolutely masterful. I always enjoy his narrations and this is no exception. 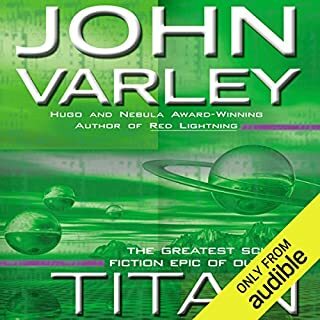 John Varley's monumental trilogy - Titan, Wizard, and Demon - has achieved cult status, hailed as a modern triumph of the imagination by critics and fans. It begins with humankind's exploration of a massive satellite orbiting Saturn. It culminates in a shocking discovery: the satellite is a giant alien being. Her name is Gaea. Her awesome interior is mind-boggling - because it is a mind. A mind that calls out to explorers...and transforms all who enter. I've long been a fan of Varley's work and was thrilled to find they'd found a good *female* narrator for the Gaea trilogy. She handles the different "voices" of the different characters quite well, though after awhile the plainsong dialog of the Titanide language got on my nerves. I'm not sure how she could have given a vocal flavor otherwise, and it's densest in the first book before the Titanides learn English. So, that's really the only quite minor drawback. The whole trilogy is excellently-written and this is quite a worthy performance. 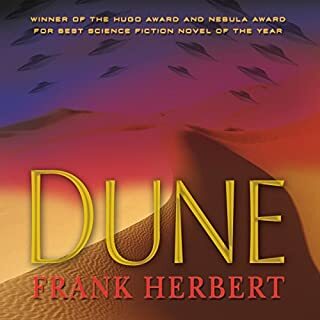 I have been a long-time fan of Frank Herbert, and certainly Dune was my favorite. It is wonderful to listen to an audio performance that does it justice. The actor who plays the Baron in particular is delightful.